Ready to add some magnetism to your eyes? Let Your Eyes Experience the Attraction! Introducing NEW KISS ultimate Magnetic Lash 01 (KEML01) featuring magnets on the lash band that stay perfectly in place until you remove them! 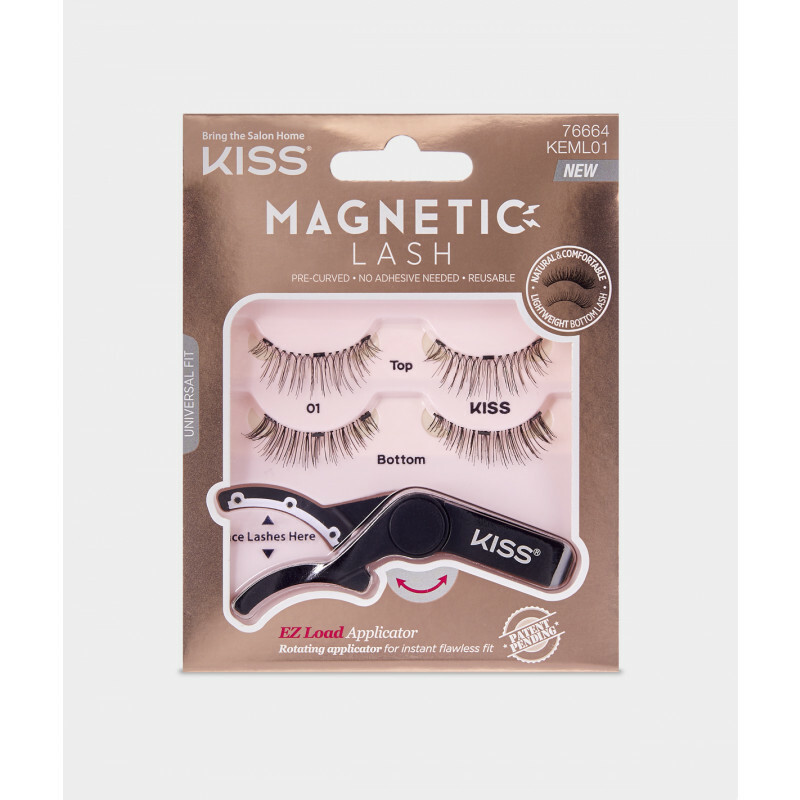 The ultimate magnetic lash from KISS, the EZ Load Applicator, get long, full, lush lashes with no adhesive and no fuss. Up your glam factor and unleash your magnetism. Ready to add some magnetism to your eyes? Let Your Eyes Experience the Attraction! Introducing NEW KISS ultimate Magnetic Lash 02 (KEML02) featuring magnets on the lash band that stay perfectly in place until you remove them! The ultimate magnetic lash from KISS, the EZ Load Applicator, get long, full, lush lashes with no adhesive and no fuss. Up your glam factor and unleash your magnetism. Ready to add some magnetism to your eyes? Let Your Eyes Experience the Attraction! Introducing NEW KISS ultimate Magnetic Lash 03 (KEML03) featuring magnets on the lash band that stay perfectly in place until you remove them! The ultimate magnetic lash from KISS, the EZ Load Applicator, get long, full, lush lashes with no adhesive and no fuss. Up your glam factor and unleash your magnetism. Ready to add some magnetism to your eyes? Let Your Eyes Experience the Attraction! Introducing NEW KISS ultimate Magnetic Lash 04 (KEML04) featuring magnets on the lash band that stay perfectly in place until you remove them! 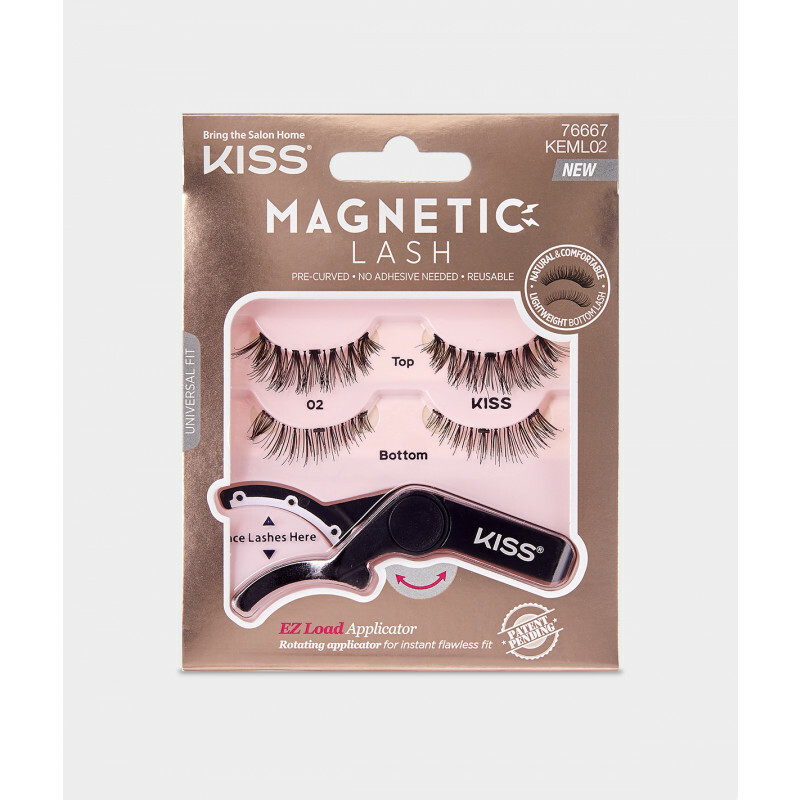 The ultimate magnetic lash from KISS, the EZ Load Applicator, get long, full, lush lashes with no adhesive and no fuss. Up your glam factor and unleash your magnetism. Ready to add some magnetism to your eyes? Let Your Eyes Experience the Attraction! Introducing NEW KISS ultimate Magnetic Lash 07 (KEML07) featuring magnets on the lash band that stay perfectly in place until you remove them! The ultimate magnetic lash from KISS, the EZ Load Applicator, get long, full, lush lashes with no adhesive and no fuss. Up your glam factor and unleash your magnetism.